For the very best in auto repair and more in Springfield, OH, think Sutherly 5 Star Collision Centre. We’ve been proudly servicing Ohio vehicles since 2005, and look forward to welcoming your business. Come in today for a free estimate. If you’re looking for dependable auto body collision repair in Springfield, OH, you know you can turn to Sutherly 5 Star Collision Centre. We consider ourselves the best in frame and fiberglass repair in all of Springfield, OH, and by the time you drive your repaired vehicle out of our driveway, you’ll agree. We’ve been serving Springfield since 2005 and we welcome customers from all over the state. 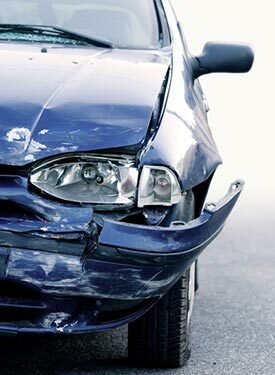 We offer outstanding car collision repair. We use safe and excellent products to get your car back to excellent condition. We offer a wide range of collision repair services. Our expert professionals are knowledgeable and friendly.  "The guys at 5-star help me out every time... They are where I go for supplements. Check them out!!" "Best body shop in town. Great work even better people." "Excellent work! Responsible, friendly people; very reliable and fair." "Amazing work on my 87 iroc....customer service was wonderful...... I wouldn't take my car anywhere else but here. Thanks 5 star!" "Sutherly's has worked on 3 of our vehicles and they come back looking like new every time. Always great service!"